So any one that follows my blog or knows me in person knows I LOVE NAIL POLISH! [I know I know…I hide it sooo well :)]. That being said…. I was walking through Walmart with a friend who came up to visit me from Jamaica recently, and during our ‘browsing session’, on the outside of the aisles [you know, that section they put right in your way to trap you!] was this nail polish display from a brand I had never come across before: Salon Perfect. Not only was it unavoidable, because it was nail polish, but they had really bright colors, which are my weakness! I was pulled in like a hungry man to an all-you-can-eat-buffet. I was defenseless against it. – They need more than one coat for true color payoff [Some need 3-4 for maximum potential]. With enough coats, the color is AMAZING!!!! – They NEED a base AND top coat! The three bright colors are matte in finish when dry, but not a very nice matte finish, if you know what I mean. When a top coat is added though, they are bangin! 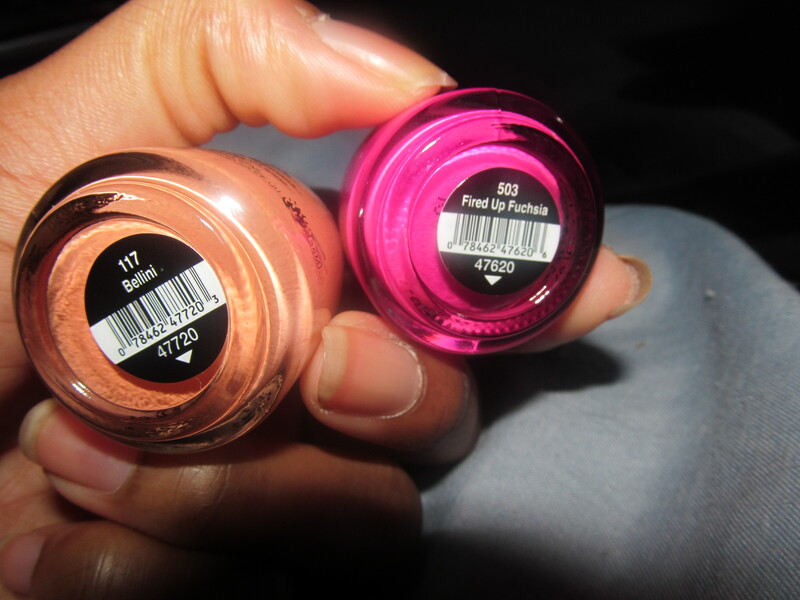 – They are not the cheapest nail polishes around at $ 3.98 each, but definitely not as expensive as many, and like I said with the right number of coats, they are worth it! Please leave me a comment letting me know what you think. Have you ever used Salon Perfect before? If so, did you like/hate it? What was your impression of the colors/quality etc? I’m gonna have to look for one in Wal-Mart. I’m not a fan of having to apply more than one coat but I will try it out and see how it goes…. I have used 3 pastels and they dont need to be put over so many times. One coat is great and 2 is awesome. The quality is great and the pastels colors look so cute..! Thats true…they don’t need more than one coat to be worn and look nice, but if you like extremely opaque and vibrant color, more than one coat is necessary [and sometimes more in the neon colors] for me. Where else could I am getting that kid of info written in such a perfect approach? I just filed my nails a lot shorter than I normally wear them. I’ve had a year of dental crises and the nails really do reflect one’s state of health. So my strong beautiful nails look like hell right now. I bought several Salon Perfect shades and today I just did Traffic Cone. You’re exactly right. They dry thin matte (not at all attractive) and do require multiple coats but if you do that, the manicure is gorgeous. I cannot stop admiring my day-glo neon toes and fingernails.